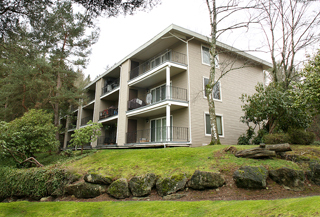 Hillcrest Apartments is Tukwila’s premiere apartment community. Choose one of our newly renovated 1 or 2 bedrooms units and live in style! Each apartment has been renovated with new carpet and windows, gourmet kitchen appliances and more. Come find your new home and enjoy the lush greenery and professionally manicured walking trails at Hillcrest Apartments. Conveniently located in Tukwila, the Hillcrest Apartments are just minutes from I-5, 405, HWY 509, as well as Westfield shopping center, restaurants, and more.